There are a lot of e-services which the Bihar government is providing right now like the student scholarship, e-services, and caste certificate. Caste certificate is very important as it helps the backward classes in getting some advantages. We all know that India has several religions and traditions. The different classes of people are distributed in three castes, SC (Scheduled Caste), ST (Scheduled Tribe), and OBC (Other Backward Classes). The caste certificate helps the people having it get some relaxation in age and fee for the government jobs and facilities. Earlier if you want to get a caste certificate, you have to do that manually but now the whole process is online and you don’t have to do anything offline. 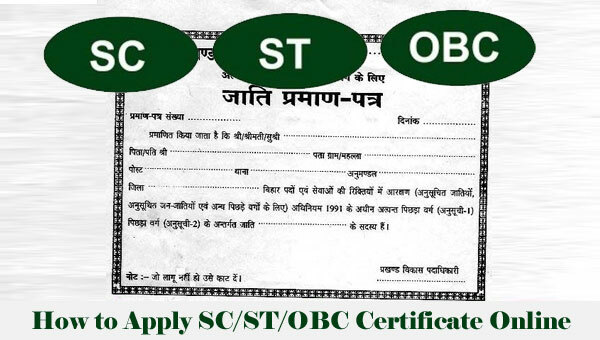 The complete process for the application of a caste certificate in Patna, Gaya, Bhagalpur, Muzaffarpur, Bihar is mentioned below. Visit the official caste certificate website of Bihar or you can also click on the link http://210.212.23.51/rtps/. You will find a lot of different options on the left hand side of the page. One of them is ‘Apply Online’. Click on it. A message will appear on your screen with full term and conditions of application. Read that carefully and accept it by clicking on ‘I Agree’ at the bottom. Now you will see two options on your screen from where you want to get the caste certificate. One of them is Block and the other one is Bihar Bhawan. We will suggest you to choose the block. Now a page will open where you need to enter a few details like Name, mobile number, etc. Fill up the details. Choose the certificate which you want to apply for. Now click on next and you will receive a verification code on your mobile number. Enter it and click on verify code. A form will now open on screen. Enter all correct details on the form like name, father’s name, mobile number, full address, caste details, etc. After filling up click on next. Again a form will appear with the name Form No. 5. Agree with it by clicking on ‘I Agree’. Now the complete description of the applicant will be visible on the screen. You can take a print out of the page. All the details of the form will be verified and a caste certificate will be generated in a maximum time of 7 working days.